We’ve been taught to not pat ourselves on our back because it feeds our vanity, and excessive vanity is apparently evil. So we refrain from saying anything too nice about anything we do in case our vanity becomes too big to handle. Unfortunately (or fortunately, as the case may be), this works against us in the professional world. Now, people still have the idea that anyone who praises himself is perhaps vain, or arrogant, or a braggart, or all three. Yet somehow it’s necessary to get the idea across to the readers that this particular book is really good and should be read. So, what’s a poor writer supposed to do? You can buy advertising, you can talk on radio, you can do book signings, but all this still is you talking about you. Of course, some people have developed a knack of saying good things about themselves and people love it, but this knack seems to be for the chosen few. 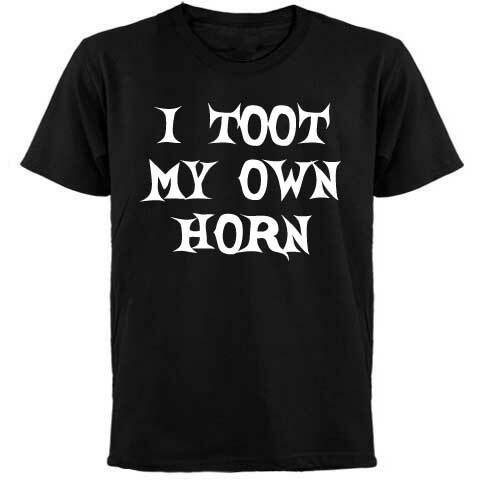 For the rest of us, it seems like we are tooting our own horn. Well, how about getting OTHER people to say nice things about your book? If you have sold your book to a publishing house, then your publisher will generally take care of securing testimonials from people about how good your book is. You usually don’t have to do much. However, if you are taking the self-publishing route, then it’s up to you to find this praise. You might feel funny going up to someone and saying, “Will you say nice things about my book?” This is liable to earn you a cold stare, quickly followed by a colder shoulder. We we have ways of making you like…er…there are ways to get people to comment on your book. The best way is to let them read the manuscript. So, initially, make sure you know the people and trust them to a certain degree. Then you ask them to write a paragraph or two about what they thought about your book. You are hoping that they liked it, but if they don’t, thank them anyhow…and, of course, don’t use it. But, if they liked it…ah, if they liked it, then it is pure gold. A few things you need to get from them…their name, their occupation, and their permission to use what they said for promotion of the book. You can also get their location if you think that might be of interest to the readers. These comments are called testimonials, and you will notice that many books will include them in the front of the book in what they call the front matter (the pages before the start of the novel). And they definitely add a professional look and tone to your book, not to mention reassuring readers that this is a book worth reading. Witchanery drew me into a new world and brought me new friends and new heroes, new magic, used in new ways…touching and bright even when things were very dark. And DARK things get! The world of Sandra Bell Kirchman’s Witchcanery spans a great length of time and we are given but a tasty slice—I hope the hints of more are materializing from the fertile grounds as we watch. I signed it with his name and occupation: Starhawk Victor, User Support Specialist II, American Red Cross. Try to get a good cross-section of people to read the book and comment. For instance, my collection of testimonial givers included a retired Colonel in the U.S. Army, a retired schoolteacher, a warehouse manager, and a geologist. On the back of the book, I used the testimonial of a friend of mine who also happens to be a PhD. It doesn’t hurt to do a little bit of mild name dropping. If you know a celebrity or have a friend who knows one, there is nothing wrong with asking them to write a foreword for your book, which is hopefully just a longer testimonial. For the first anthology I edited, In the Shadow of the Burr Oak, the gal who designed the front and back covers of the book, photojournalist Helen Solmes, knew the noted Canadian fiction author Guy Vanderhaeghe (The Englishman’s Boy and The Last Crossing). Helen asked Guy if he would write the foreword. He did and it was a lovely, touching one. I will use it for future promotional brochures and other places I am promoting the book. I will sign it with his name and occupation: Johann Nel, M.D. Well, what are you waiting for? Go and find some people to write good things about your book. What? Your book isn’t finished yet? Then go for the gusto and finish it! You know you want to. This entry was posted in fantasy fiction, General, how-to writing and tagged Birth of a Unicorn and Other Stories, Book signing, foreword, Guy Vanderhaeghe, postaday2011, publishing, testimonial, The Englishman's Boy, Witchcanery. Bookmark the permalink. Great advice! So have you self-published all your books? I don’t know very much about self-publishing. It seems quite daunting. Yes, I have self-published all three of my books. The first time it was quite daunting, but I have learned some of the pitfalls and know what to avoid and, better still, how to avoid it. I also have to say that anthologies are harder to publish than books I have written by myself. Since you have expressed interest, I will come up with an article on self-publishing in the not-too-distant future. I can almost imagine how amazing it must have felt, after all the work you would have put into writing a book, to get great feedback like that. I have been following this blog for a while, but I have never asked how many books you have written and where are they sold? I have actually only written one entire novel that has been published. That is “Witchcanery.” It can be purchased online at barnesandnoble.com, chapters.indigo.ca, iuniverse.com, amazon.com. You can also order an autographed copy directly from me. If you want to do that, I will autograph it for you before I send it. The UK (Bath, isn’t it?) is kind of far away from the Canadian Prairies, so here is another suggestion – go to your favourite bookstore and ask them to search for “Witchcanery” at iUniverse.com. They can order it direct from them and then sell it on a markup (I think iuniverse gives discounts to bookstores). I don’t mind at all shipping it to you, but I have no idea how much the shipping is to the UK. The book itself is $16.00 USD, and I do accept PayPal. I was the publisher, editor and layout person for the other two books, both anthologies. The first one was a compilation of short stories written by my students in a short story writing class I offered. I also contributed one of my short stories to it, the prequel to “Witchcanery” entitled “Eye of Newt and Toe of Frog.” I have to say I was blown away by the talent these people had and suggested they go for this anthology, which is entitled “In the Shadow of the Burr Oak.” The burr oak is a tree native to the particular area of southeastern Saskatchewan that we all live in. Unfortunately, the book (two printings) was completely sold out and we are not going to order another printing…so no books available. The most recent anthology was a collection of short fantasy stories written by the writers who frequent my website and forum at http://www.fantasyfic.com. I have been working with most of them for a long time and was pleased to see that they were improving in their writing tremendously…that is, they were working at it. I did all the editing and layout, while Stephenie, one of the talented writers for the anthology helped me with proofreading. I also contributed one of my stories, “Birth of a Unicorn,” which gave the anthology its book title. I have not made the contacts yet with B&N, Chapters-Indigo, or Amazon, so I’m afraid the only place you can get the book is from me for the time being. It is $17.95 USD plus shipping. Sorry to get so long-winded about all this, but I am very excited about these books. If you have any questions, email me at raya at fantasyfic dot com.